Soooo….I promised myself that I would finish my Fourth of July porch decor this year and I might just make it!! WooWho!! One of the projects I wanted to make was this…. 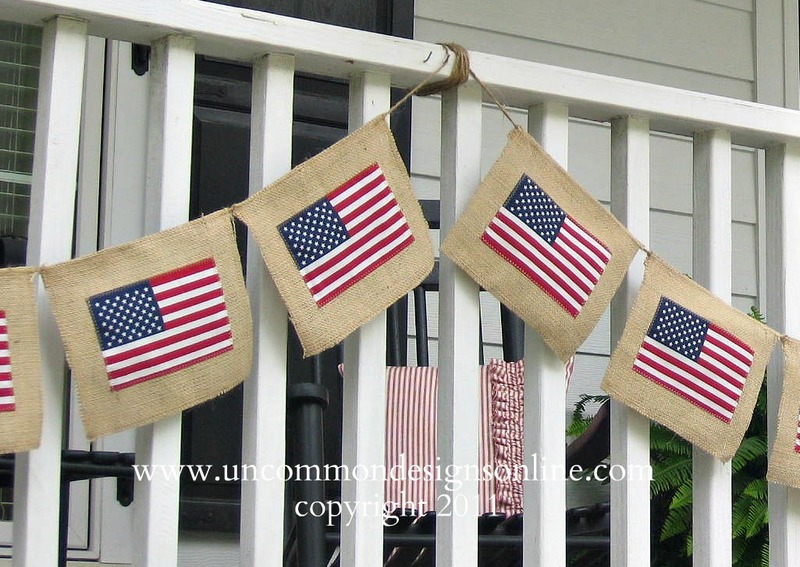 I saw this burlap flag banner last year about ths time. 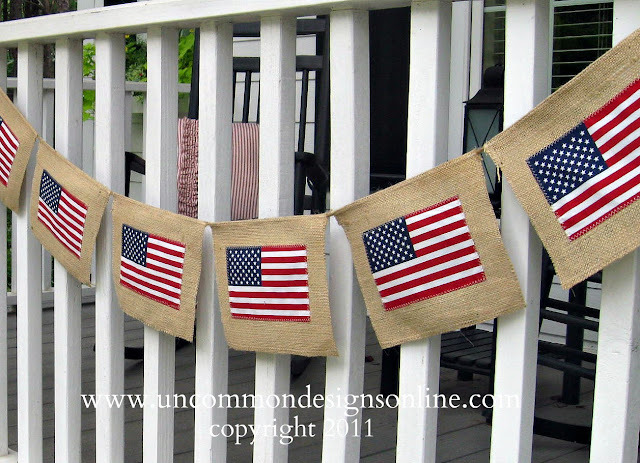 I snatched up the flags when all the Fourth of July decorations went on clearance and I stored them away,with every intention of making this banner way before the 4th this year!! I have a few more days until then, so really I made my timeline…right??!! My front porch is rather large, so I made four banners and tied two together on each side. 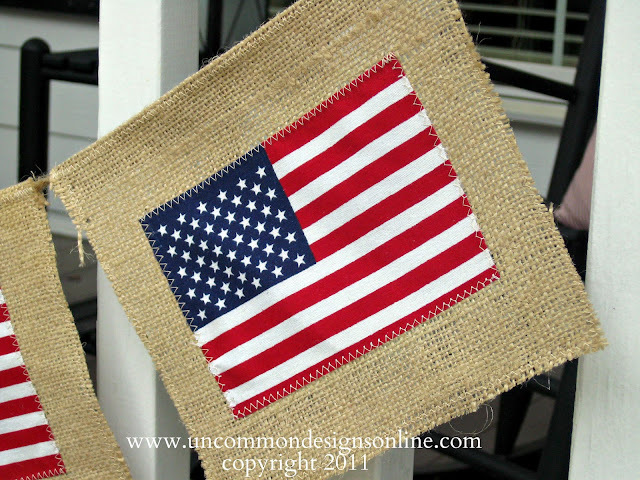 Each banner has 6 flags sewn onto burlap rectangles with a simple zig-zag stitch and then attached to the jute twine! I love the simplicity of this banner ! Love how it is all starting to look! Craft-O-Manic! We would love to have you visit us at Uncommon! You can also find us on facebook, twitter, and pinterest ! TRISH AND BONNIE, I ADORE THIS Burlap Flag Banner, and I ADORE that you shared it will all of us today. Thank you so much. P.S. 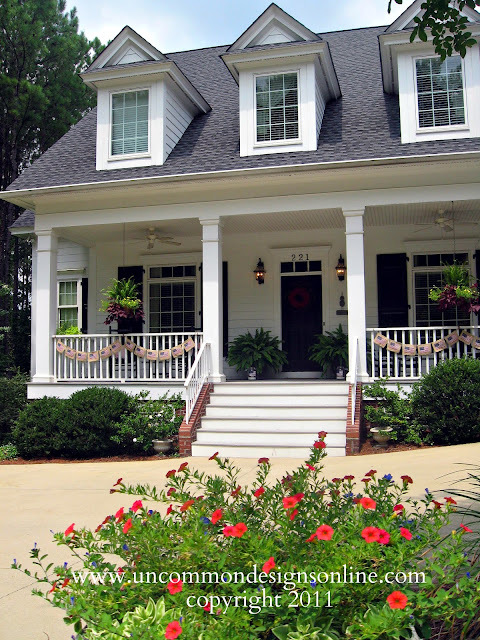 is that house not totally gorg? Sighhhh, I love it. Oh my gosh this is adorable! 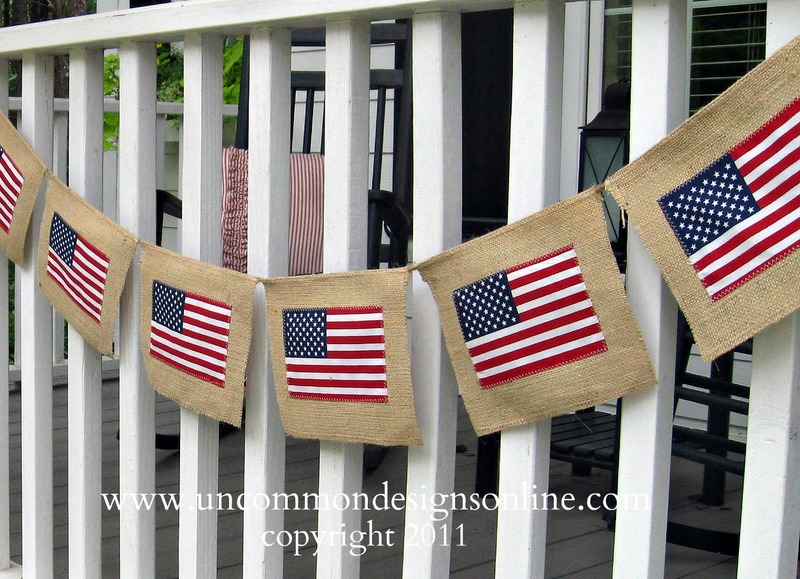 I love the burlap and the flags. Thanks for sharing! oh I love this! and I have everything I need to make one! This is really cool!!! 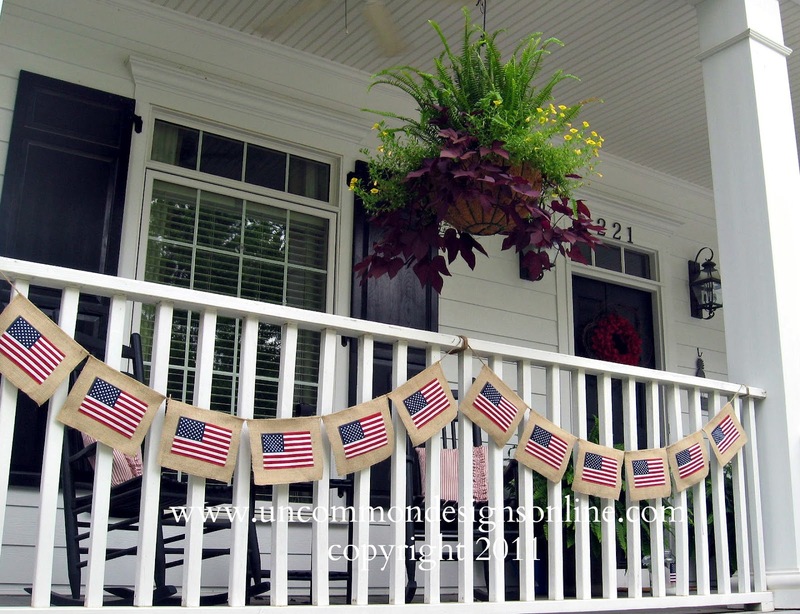 Won of the best 4th of July Ideas I’ve seen on a blog.